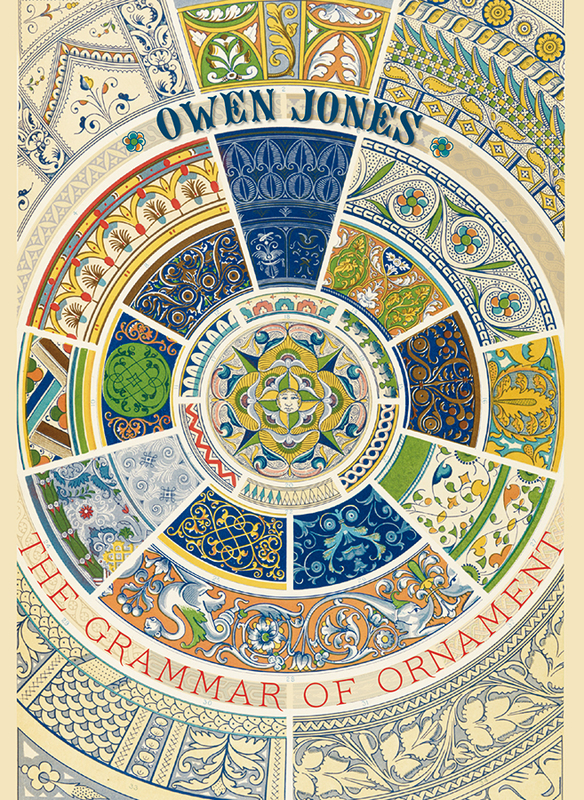 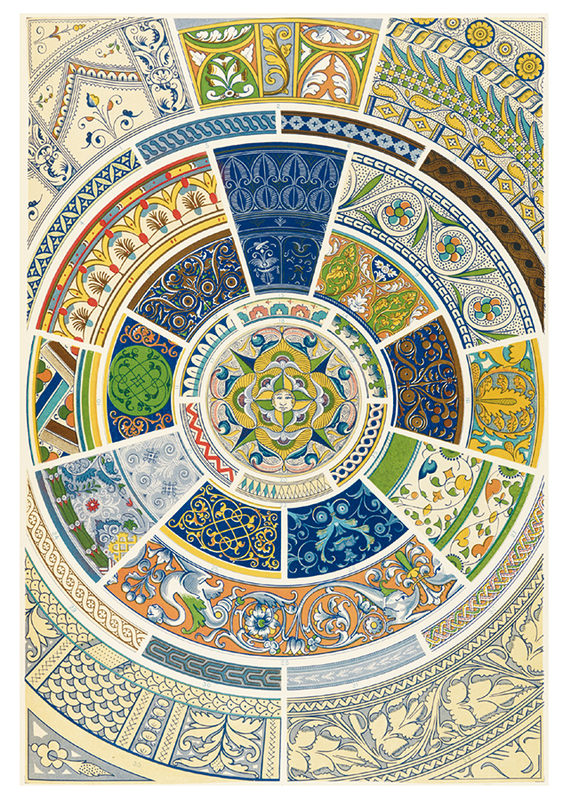 Owen Jones’s magnum opus, The Grammar of Ornament, is a sumptuous collection of exotic patterns, and a mid-nineteenth-century masterpiece of chromolithography. 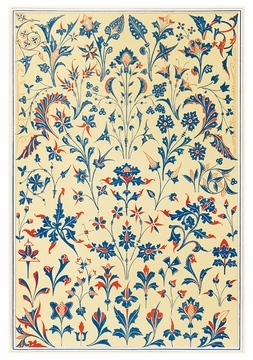 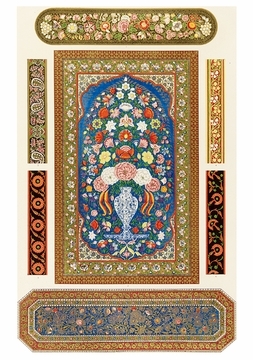 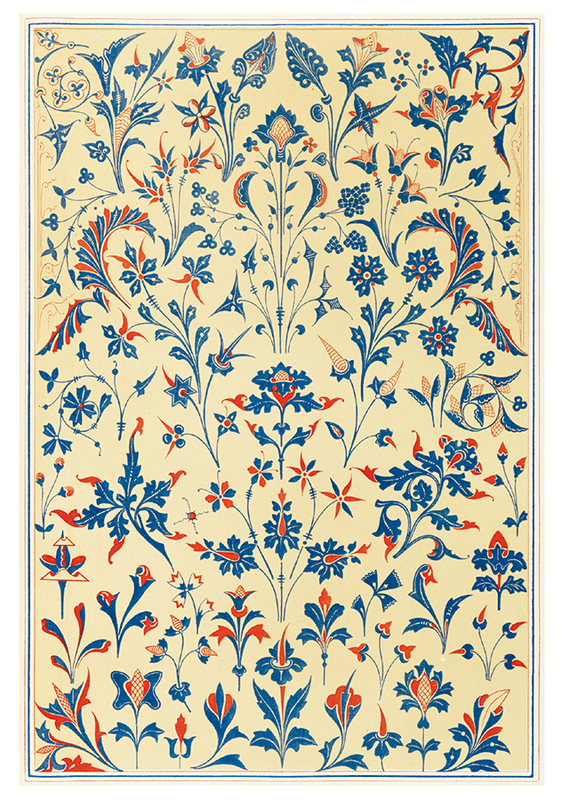 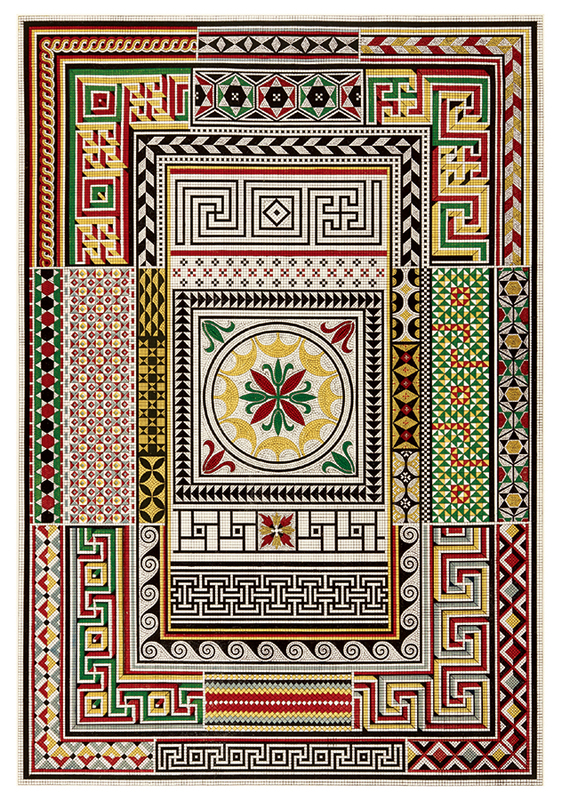 On his grand tour of Europe and the Near East, young architect Jones (British, 1809–1874) was inspired to create an accurate and unprecedented record of coloured decorations and ornamental motifs from many periods, countries, and cultures. 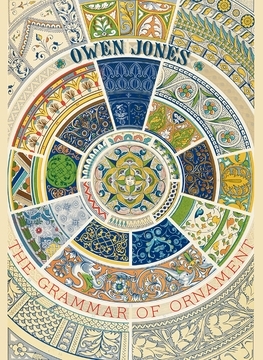 With this publication, Jones was established as an influential design theorist. 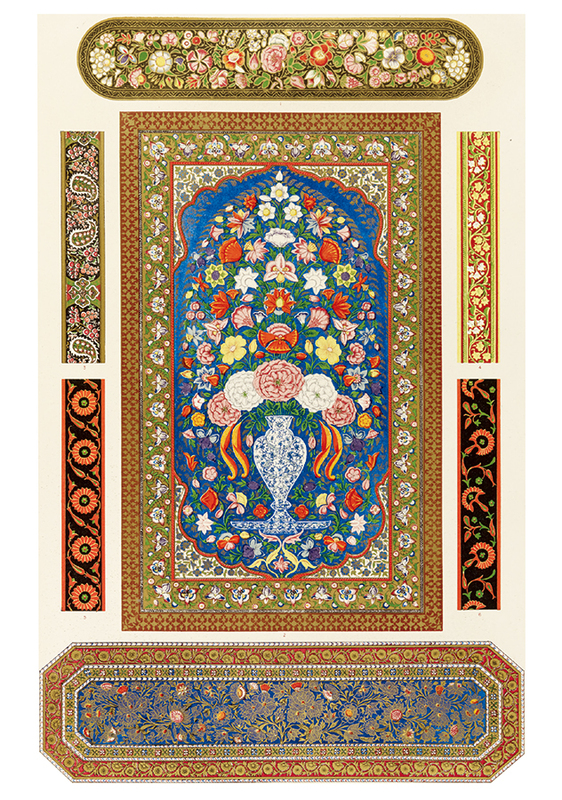 His “General Principles in the Arrangement of Form and Colour in Architecture and the Decorative Arts” would notably affect the design aesthetic of such greats as industrial designer Christopher Dresser and architect Frank Lloyd Wright. 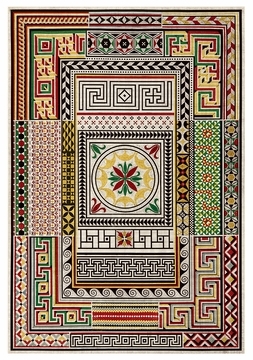 Represented herein are designs for Pompeian mosaic pavement, Mediæval illuminated manuscripts, an Indian book cover, and Renaissance enamel work. 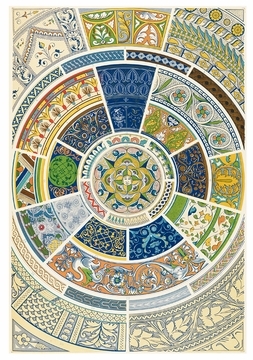 All are from The Grammar of Ornament in the British Architectural Library of the Royal Institute of British Architects.